Here’s a quick followup to Tuesday’s post… that had a summary of 1939 vs 2006 vs 2015 timetables in the 5-6pm peak, but here’s the line-by-line breakdown. St Albans, Broadmeadows, Fawkner, Thomastown and Upper Ferntree Gully, Ashburton, Dandenong have all been extended (or electrified out further) over the years. Numerous lines have also been duplicated; in days gone past extensive sections were single track. Of course, some remain partly single track. Services beyond about 10km of the city were pretty sparse in 1939, reflecting that back then there just weren’t that many people living that far out. Somewhere I’ve seen figures suggesting the average train journey distance has roughly doubled since then. Some lines, especially to the west, were far less frequent than today. Williamstown — far fewer trains nowadays in that hour, though most of the stations (between the city and Newport) are served by other lines now. Back in 1939 a few trains ran a little further, to Williamstown Pier, now closed. Altona/Laverton and Werribee — in 1939 what is now the Altona Loop ended at Altona, and Werribee was a separate line. By 2006 the Altona line had been extended via Westona to Laverton, to connect to the Werribee line, but had no dedicated services of its own — most Werribee trains ran via Altona. This changed in 2011 with the Laverton turnback enabled Altona Loop trains to terminate there — in peak they run from the city, but on weekdays interpeak they have the much-hated shuttle. On weekends and in the evenings the old operation still exists — all Werribee trains run via the Altona Loop. St Albans — in 1939, some trains terminated at Sunshine. Broadmeadows — in 1939, about half the trains terminated at Essendon. Upfield — back in 1939 about half the trains terminated at Coburg. Thomastown (now South Morang) is now double track all the way. In 1939 much of it was single (something only fully rectified in the past decade), and most trains actually terminated at Reservoir. Only a few continued to Thomastown (just 1 in the 5-6pm peak hour). The line went beyond, to Epping, South Morang, Mernda and Whittlesea, but wasn’t electrified, and only a handful of trains (rail motors) each day went that far. 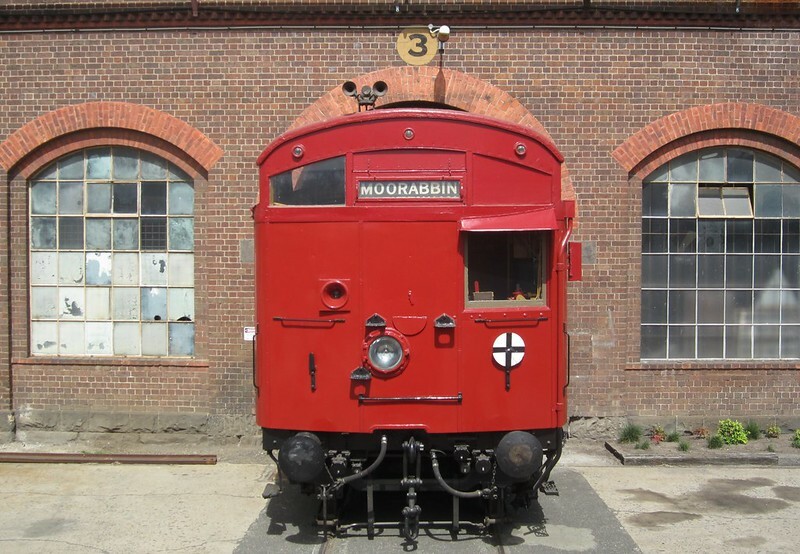 Hurstbridge — in 1939, most trains terminated at Heidelberg, only some extending to Eltham (2 in the 5-6pm peak hour), and even fewer to Hurstbridge (1). Box Hill/Ringwood/Lilydale/Belgrave — in 1939, about half the trains terminated at Box Hill, some extended to Ringwood, fewer beyond. On the Belgrave line, electric trains terminated at Upper Ferntree Gully. Beyond that it was a bus or Puffing Billy! Oakleigh/Dandenong — in 1939, fewer trains ran out as far as Dandenong, with about half terminating at Oakleigh. Nowadays almost all run as far as Cranbourne or Pakenham. The third track along the Frankston line was built in the 70s and 80s, enabling express trains along part of the route to overtake stopping trains. Yet in the 2006 timetable, there were only a few each day that did that. There are a lot more in 2015. Sandringham — in 1939, some off-peak trains terminated at Elsternwick, and some in peak at Brighton Beach, though most went all the way to Sandringham. The Kew, Inner Circle, St Kilda and Port Melbourne lines no longer exist. Note that the St Kilda line was basically as frequent as the 96 tram is now, but run by trains (short ones though I think). ← Previous Previous post: How many trains in peak compared to the past? And how full are the tracks? Pretty sure Altona had 3 trains in the evening peak in 2006 (was there was an express Newport to Laverton Werribee service as the 4th train)? When you consider the population explosion in the outer west, the number of trains is very low. Imagine if people who have a choice decided to use the train! @misguidedjenni, that’s right – in 2006, 3 of the 4 Werribee trains ran via the Altona Loop, basically a train every 20 minutes – which as we know is pretty much the capacity if trains are running in both directions, thanks to the single track. So basically the total number of trains serving Altona and Werribee has doubled since then in that hour. The State Library has digitised the Victorian 1:63360 (inch to the mile) topographical maps. The ones covering Melbourne were prepared between the Wars, and show just how small the built up area was then. For example, the built up area ended fairly abruptly at Box Hill, and even back towards Camberwell didn’t extend far north or south of the railway. In many ways, much of the electrified network was similar to today’s V/Line interurban network.